Specifications - 2" Round - 3"
In order to fulfill the diverse needs of our clients, we areofferinga qualitative array of Hydraulic Cutting Machine. 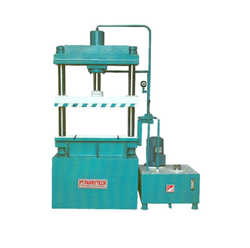 We are globally known for our high quality Hydraulic Cutting Press Machine. Our hydraulic cutting presses are efficient for cutting at constant speed with cutting angle set to suit material, thickness minimizes the distortion of cut sheets. 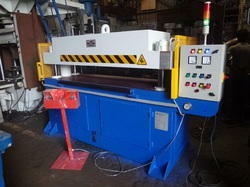 Hydraulic swing arm cutting press machine. The machine can cut various nonmetals by cutting die. cutting force 22T and 27 T, cutting area: 370 X 400, 500 X 500 and 600 X 500MM. some parts are made in Italy, Taiwan and Germany. HCT120 Hydraulic Cutting Head ToolDesigned to cut aluminium, copper and telecommunication cables having a maximum overall diameter of 120mm. For use with the HCFP Foot Pump.